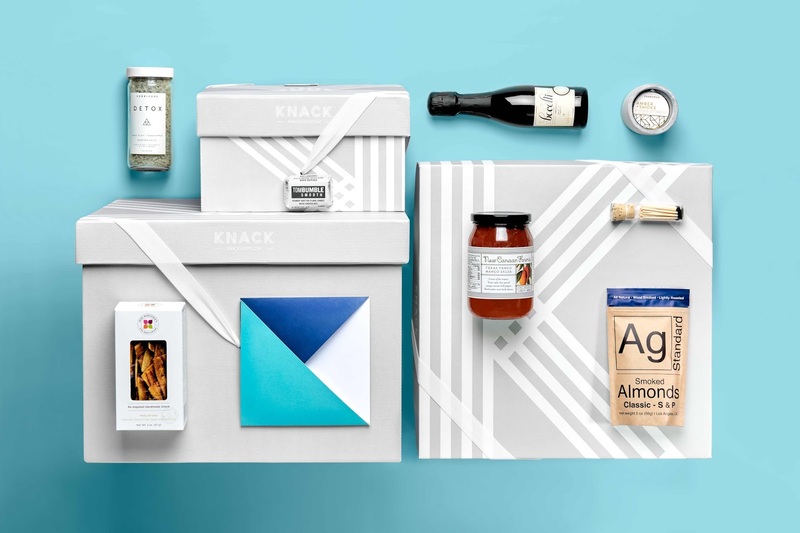 Seattle startup Knack was founded on the premise that gifting should be thoughtful, personalized and easy. The e-commerce platform caters to the time-starved and tech savvy with custom made-to-order gifts. With over 1200 hand-selected artisanal products to choose from, the possibilities are endless. Knack approached CRP with the challenge to engineer a flexible packaging system that would offer both a premium unboxing experience and the capability to scale with their growing business. Our collaboration resulted in a packaging program which accomplished that and more. The structure is made of corrugated material, which ships and stores flat, is durable, recyclable and meets the need for fast domestic production. Upon opening the box, the customer is greeted by a topper which serves as a platform for one of the gift’s most important features: the Knackbook. Secured by custom made grosgrain elastics, the Knackbook contains important information, including a personalized note from the sender and detailed information about the contents of the gift itself. 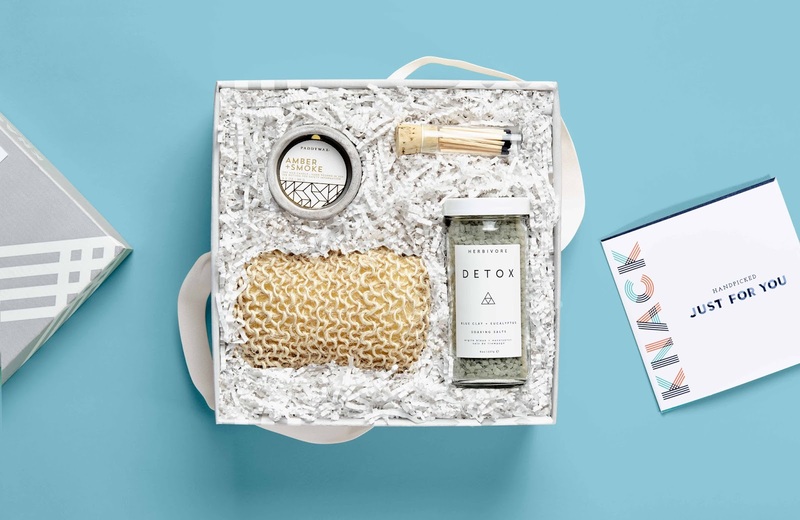 Beneath, the gift items are placed securely in a nest of recyclable shredded paper, which molds around the infinite product combinations made possible by Knack’s proprietary algorithm system. 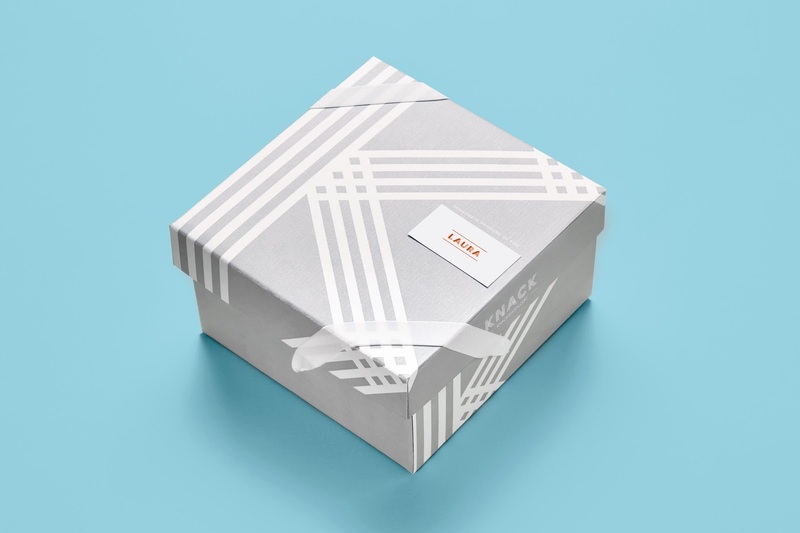 For the graphic design of the program, CRP worked within Knack's brand guidelines to design packaging fully custom experience that is subtle enough to be personalized and co-branded as a corporate gift. The exterior design capitalizes on the angular shape of the signature K and the repeating lines in the wordmark, drawing the eye to a customized name card addressed to the recipient. Upon opening the box, the design carries internally to the color scheme of the topper and Knackbook. We carried the angular shape la of the primary identity into the thumb notches in the topper and the origami-inspired Knackbook folder. The layout of the Knackbook contents was optimized to allow their in-house team to create new pages for every product in their inventory. The paramount goal of this project was to add value to the Knackbox with a premium unboxing experience. With this in mind, we used all the elements together - structure, graphics and messaging - to create anticipation and help tell the story of the carefully selected gifts inside. 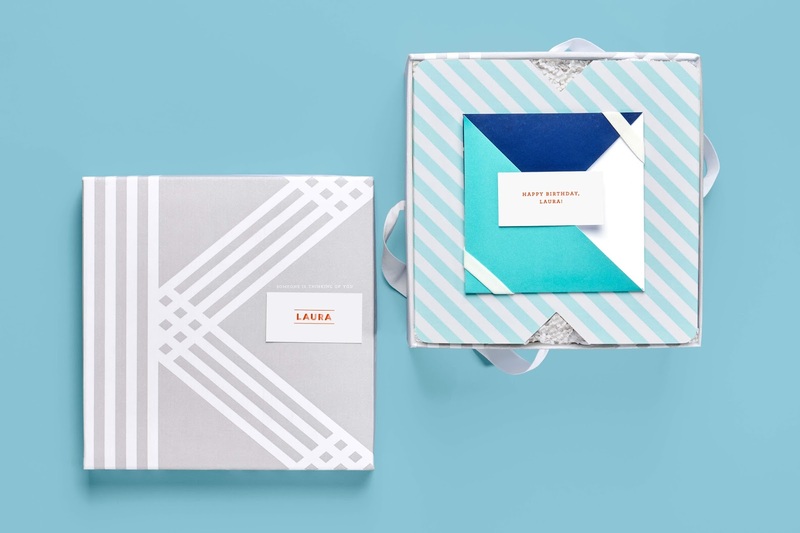 In re-imagining the entire chain, from operations to design to customer experience, CRP and Knack worked together to create a packaging program that maximizes its cradle to grave lifespan, leaving the company, the gifter, and the recipient with an optimized experience all around. 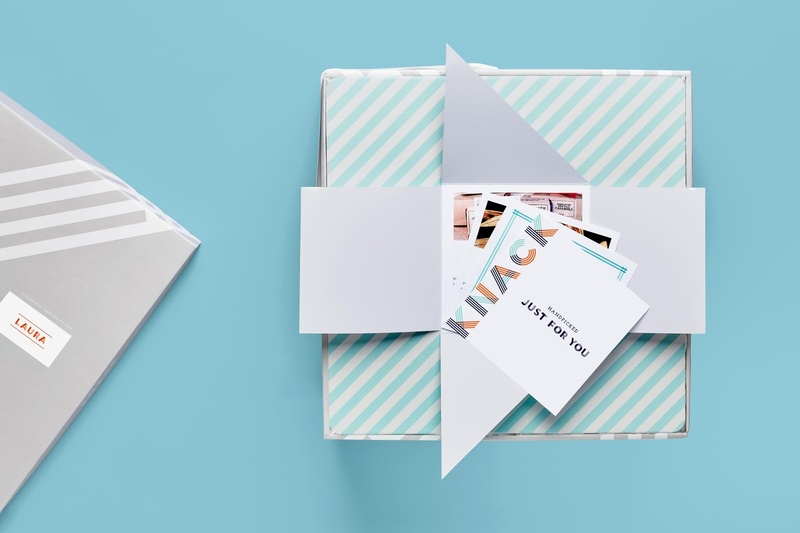 Seattle-based startup Knack provides the modern gifter with an opportunity to assemble a truly personalized gift online. With over 1200 hand-selected, artisanal products to choose from, the company's proprietary algorithm system allows for endless gifting possibilities. The packaging structure and graphics needed to work together to make Knack's custom gift combinations work across virtually any combination of product. 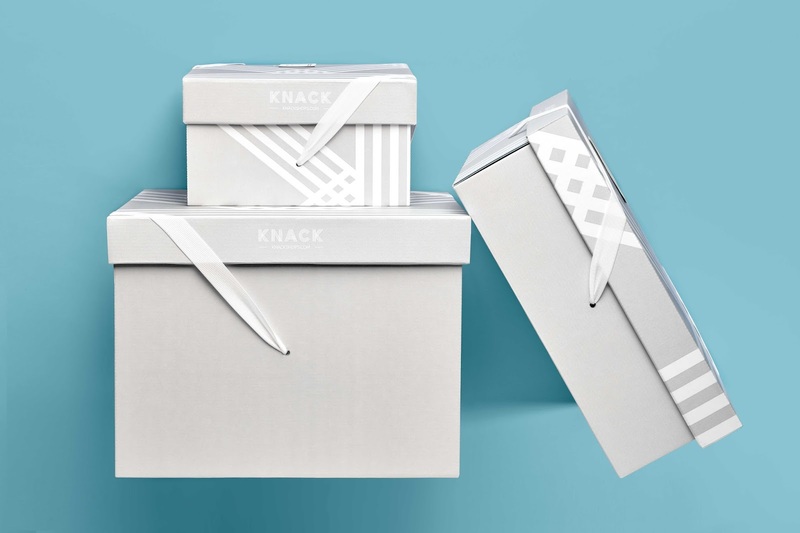 As such, Knack partnered with Seattle agency CRP to provide a flexible packaging system that offers both a premium, personalized unboxing experience and the capability to scale with their growing business. This collaboration resulted in a packaging program which accomplishes that and more.